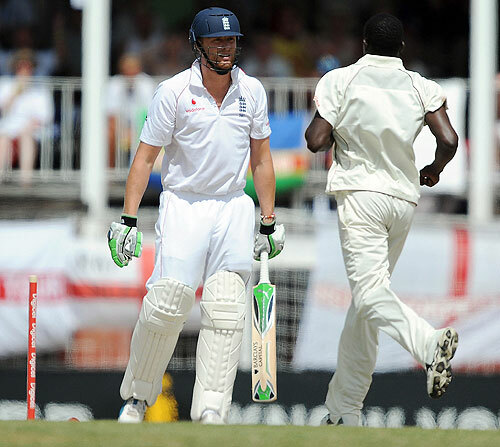 Few could accuse the Test series between the West Indies and England of being predictable – a second-innings total of 51 and less than two overs bowled before abandonment in the other were both rather unexpected developments. Yet the Third Test is (so far) panning out in exactly the way I would have expected the First Test to – England’s batsmen rebuilding damaged confidence (even more damaged, given recent developments); the West Indies’ pace attack firing sporadically, yet the home team struggling in the field otherwise. 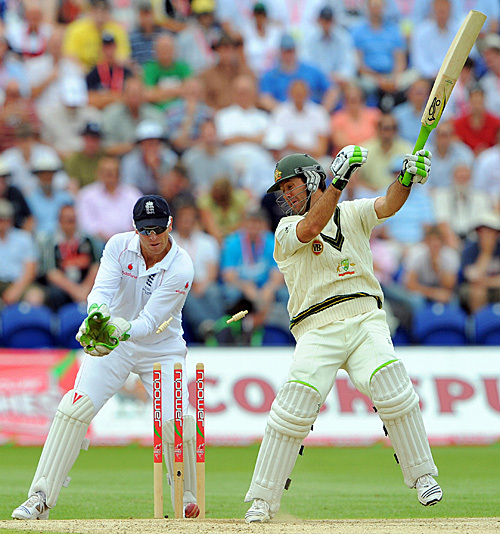 It will be interesting to see how England’s bowlers perform when they have a big first-innings total to defend. The inclusion of Swann and the reprieve of Harmison following the move to the ARG are likely to increase the scrunity on the two of them, but it’s also a crunch match for Jimmy Anderson. For the West Indies, the challenge is likely to be the fact that they are batting under pressure for the first time in the series. If wickets fall early, the lower order looks fairly exposed, so their top-class batsmen will shoulder a lot of responsibility.